Robust. 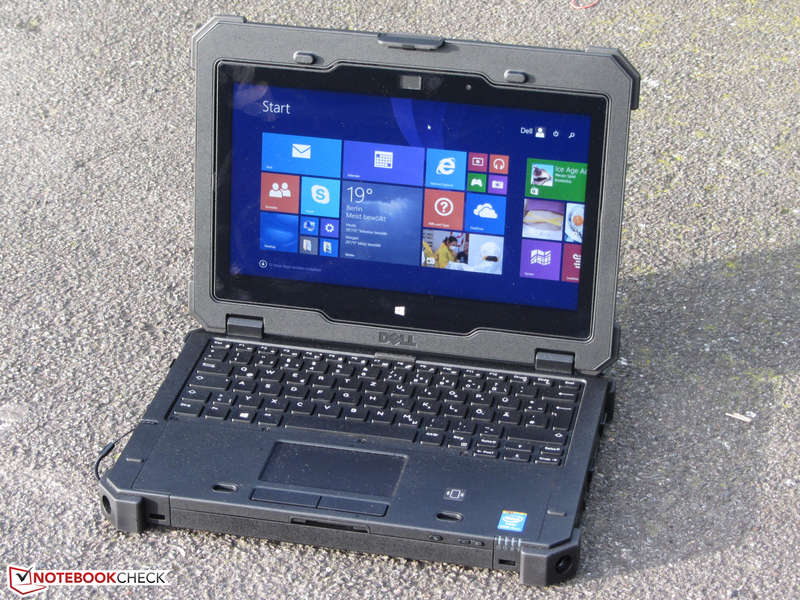 The Dell Latitude 12 Rugged Extreme feels at home even in the most adverse environments. The convertible has a robust case, combined with a strong processor and good input devices. But at the price Dell is asking, buyers will certainly have to pay for what they get. Extreme is an understatement when it comes to the Dell Latitude 12 Rugged Extreme Convertible. The laptop meets military standards and looks like a device right out of an espionage movie with its full matte finish. The internal parts are protected against sand, dust, and liquid according to IP-65. The 11.6 inch HD 16:9 Direct-View outdoor-readable display is attached with a durable hinge that allows the screen to be flipped into a tablet-like mode. There are many models with the Intel Core i7-4650U dual core processor clocked at 1.70 GHz, 16 GB 1600 MHz DDR3L RAM and Intel HD Graphics 5000 being top of the line. The Dell Latitude 12 Rugged Extreme features up to a 512 GB SSD, which ensures speed and toughness. The system accepts various versions of Windows with Windows 8.1 Pro 64-bit being the latest version. Security is also beefed up with a steel-reinforced cable lock slot, smartcard reader and optional fingerprint reader. Other features include a customizable RGB backlit keyboard, high quality speakers, 2 USB 3.0 ports and HDMI out. A 4-cell Lithium-ion battery powers the system. 78.7%: This rating is not convincing. The laptop is evaluated below average, this is not really a recommendation for purchase.